Brussels was a pleasant surprise for us. When we booked our trip to Brussels Belgium, we didn’t think much about sightseeing here. We were happy with our long term stay in the city and were impressed how accessible it was to other cities and countries. 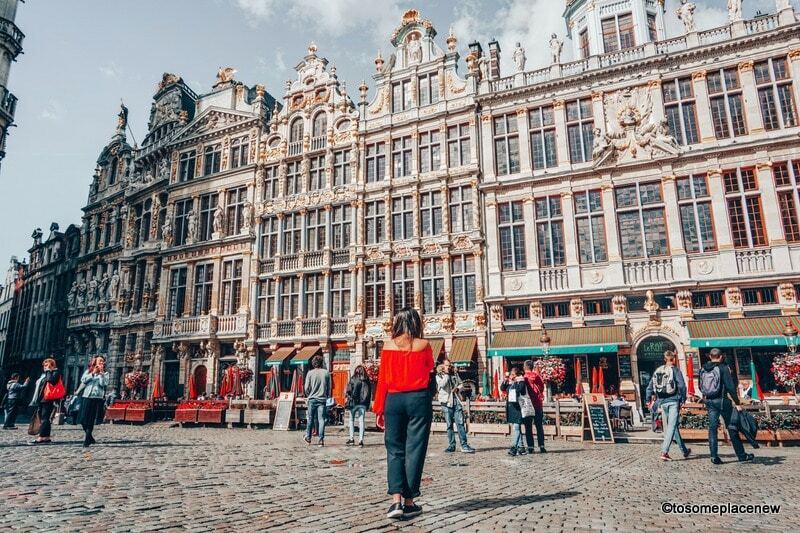 But Brussels has so much to offer – from the medieval Grand Place to the European Union Headquarters to comic history to tasting Belgium chocolates, waffles and beer. The scientific inventions, the comic revelations and it’s European Union dimensions – everything adds a unique charm to the city of Brussels (boy, that rhymed). We stayed in Brussels for 7 days and we LOVED the city. We were surely smitten by Brussels and have selected some of the finest spots for Brussels in one day itinerary. 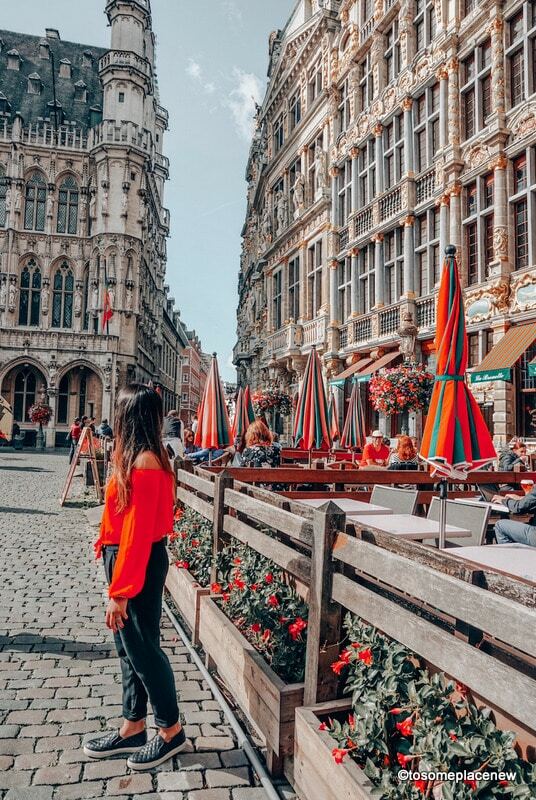 In this post, we have highlighted the top things that you SHOULD definitely do in Brussels in a day. We have also included additional sightseeing for 2 days in Brussels if you happen to extend your stay. In Brussels we found Europe at its finest. 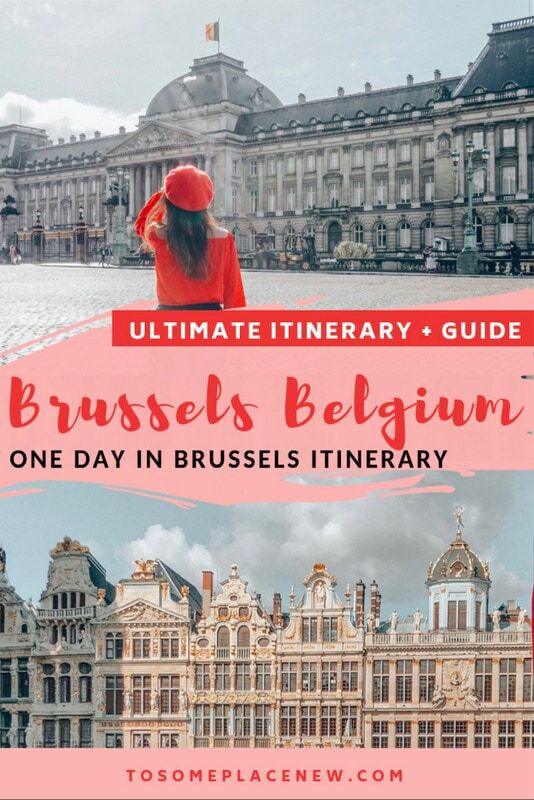 Pin – 1 day in Brussels Itinerary – What to do in Brussels for a day? We stayed in Brussels for a week, and totally loved it. 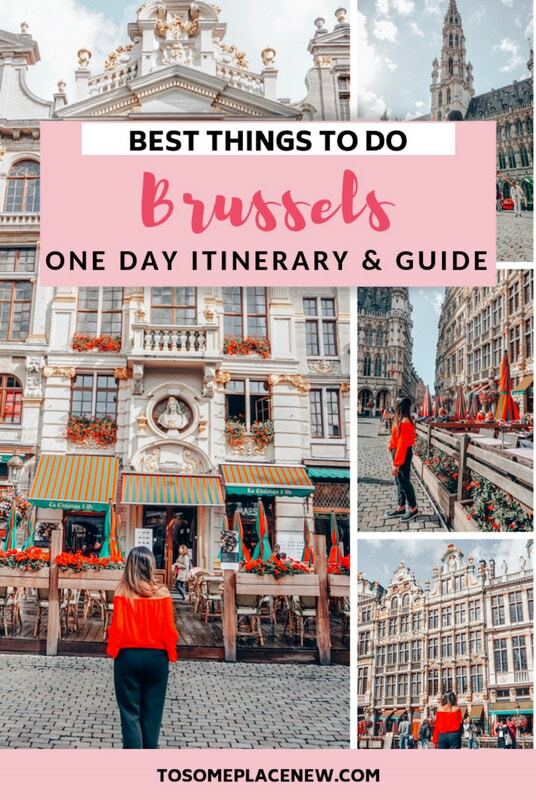 This one day in Brussels Itinerary is exactly what we did on our first day of exploration of the city. 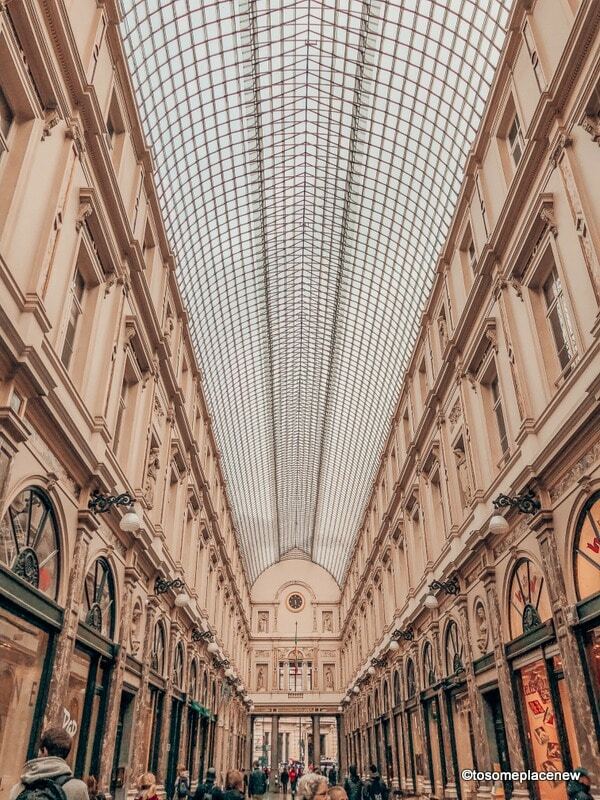 Majority of the popular tourist attractions in Brussels are located in the central part of the city and that’s where we recommend spending the most of your day. Arriving in Brussels – Brussels is served by the Brussels Zaventem Airport (also called also called Brussel-Nationaal / Bruxelles-National), which is located in the northeast part of Brussels. In order to arrive to the city centre from the Brussels Airport you can either take a bus, train or a taxi. How to get to Brussels City Centre from the Brussels Zaventem Airport? A cab fare will cost around 50 euros. Airport Taxis can be reserved online for 85 euros. Brussels car rentals can be arranged for at the airport. Hertz, Avis rental offices are available at the airport. Train ride from Brussels Airport to Brussels Central Station takes around 18 minutes and costs 12.70 euros. From the Brussels Central station or Brussels Midi, you can take a bus or train to your hotel. The nearest train station to Grand Place is De brouckere Metro Station. STIB Airport Line is a public bus network (Line 12 and 21) that operates from the airport to many other stops in the city including Brussels Central Station. Line 21 will take you to the Grand Place area (last stop) on weekends. Tickets cost around 4.50 euros. De Lijn bus company operates shuttle transfer service. Tickets are around 3+ euros and takes about 40 minutes to reach the city centre area. Brussels is also well connected via road and rail network in Europe. There are high speed trains (Thalys) available from Brussels to other countries like Amsterdam in Netherlands (2 hours or less) and Paris in France (1.50- 2 hours). 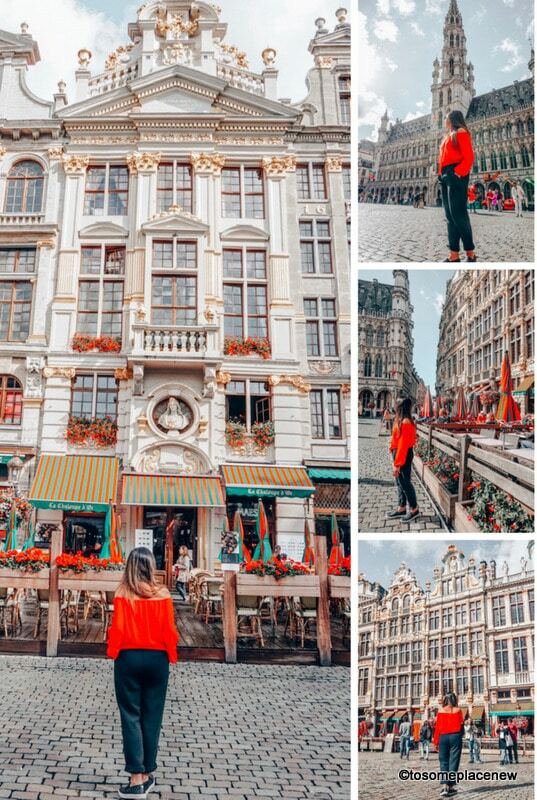 Brussels One Day Itinerary Activities: What to do in Brussels for a day? 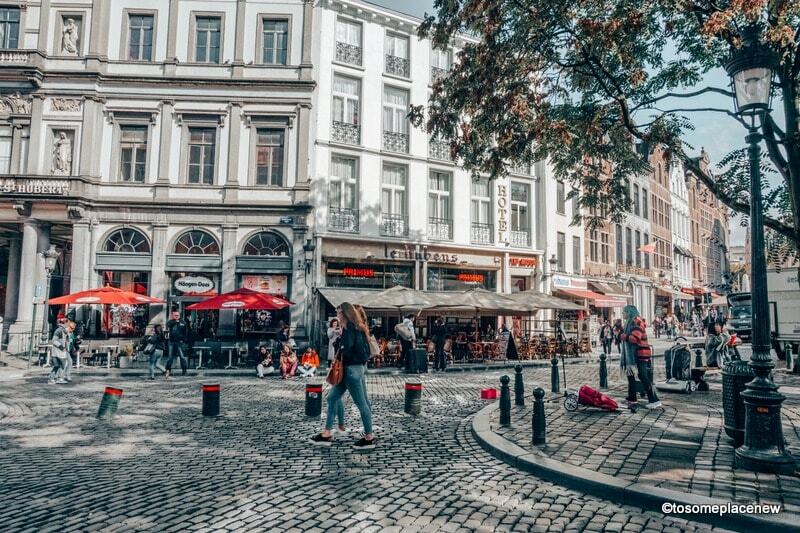 Start your day bright and early at the Brussels city centre (1000 Brussels). Head to one of the cafes located by St Michael and St Gudula Cathedral for breakfast – waffles (of course) and a latte. St Michael and St Gudula Cathedral are twin cathedrals located in central Brussels. The two Roman Catholic cathedrals co-exist, as the co-cathedral of Archdiocese of Mechelen- Brussels. The cathedral is built in Gothic style and it actually took three hundred (300) years to complete. The cathedral is made up of stone quarry and looks stunning from the outside. The interiors of the cathedral are equally stunning with many marble alabaster altarpieces and baroque style pulpits. The stained glass windows, dates back to the 1500’s and the church also has an organ with over 4000 pipes. Truly an iconic landmark, the Brussels Cathedral is the main Catholic church of Belgium. The Royal Palace of Brussels is the official residence of the king and queen of Belgium, located in central Brussels. The palace is also known as Palais Royal de Bruxelles (in French). The Royal Palace was built in neoclassical style and is very stunning to look at, adorned by the Belgium flag on top. The palace is located on the southern part of the Parc de Bruxelles (Brussels Park) in the high part of town. The Royal Palace is no longer the residence of the king and queen. Currently it serves as an official palace and an administrative seat for the Belgium monarchy. The palace has state rooms where royal receptions are held and guests of the royal family are hosted here even today. The official residence is located in the outskirts of Brussels – at the Royal Palace of Laeken. The Royal Palace is not open for visitors all year around. It is only open from late July to the beginning of September every year Tuesday to Sunday (closed on Mondays). The Palace of Coudenberg (Palais du Coudenberg) was the seat of governance for about 700 years under countless kings, dukes and monarchs extending the southern side of Netherlands to northern Belgium. The name Coudenberg is derived from the small hill, on which the castle was built. For years, no one knew about this palace. In the 18th century, when the Royal Palace was built, the castle of Coudenberg was buried underneath it and the areas in and around it was almost leveled. With recent excavations, historians and visitors are now taking interest in the Palais du Coudenberg. The palace hosts temporary exhibitions and guided tours are available as well. The Brussels/Belgium Tourist Information Center is located very close to Coudenberg Palace. The information center building is really pretty and I loved the stairway leading to the office. From the tourist office, if you continue walking away (opposite side) from the Coudenberg Palace, you will find yourself surrounded by Flemish architectural buildings. You will soon find a beautifully manicured garden called the Mont des Arts Gardens with a central statue. 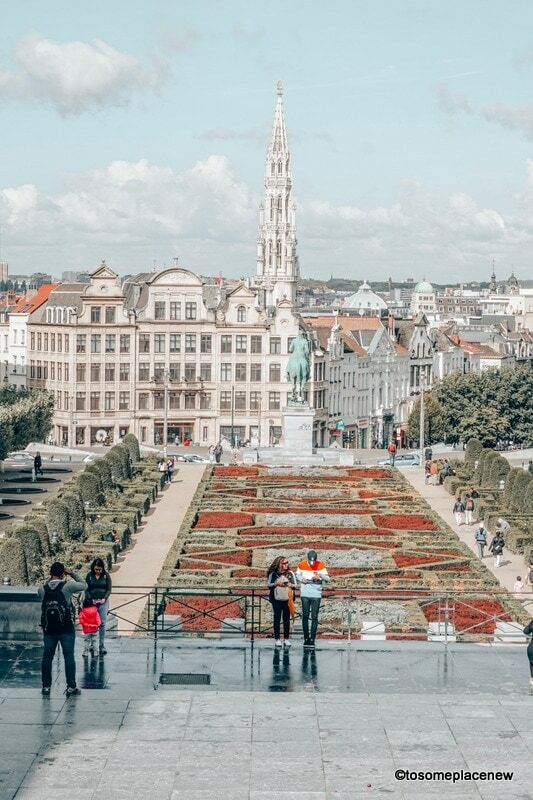 The Mont des Arts is a beautiful park and a historic square located in between the upper and lower part of town of Brussels. 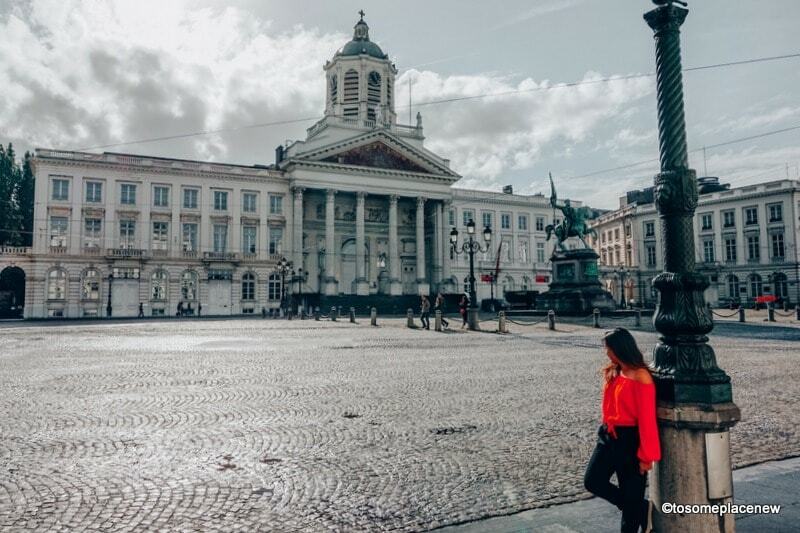 Due to its location, the square offers stunning views of the city and its gorgeous Flemish buildings. On bright clear days, you can even see the Atomium from here. Mont des Arts or Kunstberg, literally means hill or mount of the arts. The Garden of the Mont des is surrounded by Royal Library of Belgium and the statue of King Albert I stands tall in the square. The Grand Place or the Grokt Markt is THE iconic landmark of Belgium. It is located in the heart of Brussels and is considered as one of the most important squares in the country. So this tourist spot should be included in your Brussels one day itinerary. The Grand Place is a UNESCO World Heritage site. 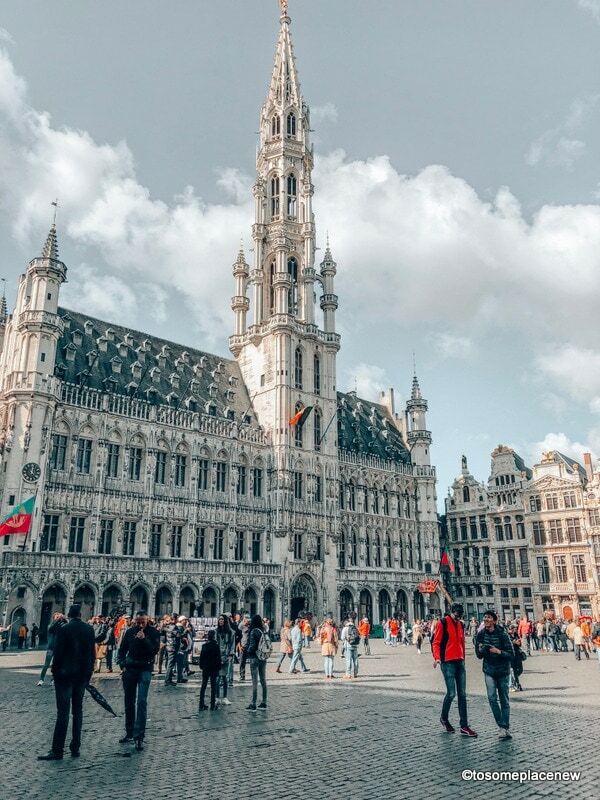 Following the induction of the Grand Place to the UNESCO List, several decrees were passed for protection the heritage by the City Administration of the Brussels-Capital Region. You will be completely mesmerized by the stunning gold ornate designs on the all merchant and guild buildings at the Grokt Markt. The Grand-Place is a living testimony to the success of Brussels’s mercantile class and its resilience in the face of destruction, under the hands of King Louis IX and rising to grandeur as a rich European nation. There are three main structures that make up the grandeur of the Grokt Markt. They include – the town hall, King’s house and the houses of the Grand Place. This place is opulent and speaks volume of the grandeur of Belgium architecture. 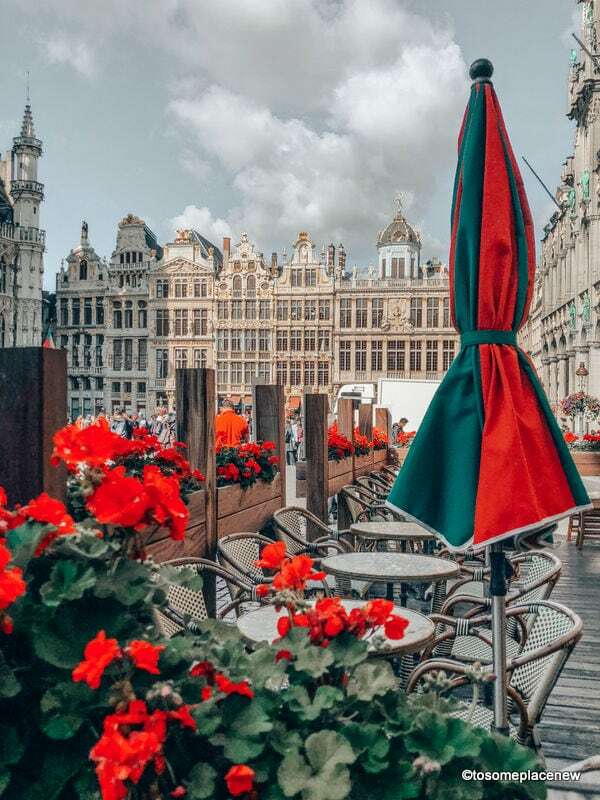 Houses of the Grand Place – The buildings that you see when you step into the Grand Place are actually a replica of the original grand place guilds. Those guilds were built in the 1690s and they were built in stunning Italian baroque designs with gold finishing. As you take a stroll along the square, you will find separate blocks of houses. Each column of house (built in Flemish style) was an incorporated merchant office. Some of the notable ones include – House of the Corporation of Bakers (built in 1696), House of the Corporation of Greasers (1644), House of the Corporation of Carpenters (1644), House of the Corporation of Boatmen (1697), House of the Corporation of Tailors (1697), Corporation of Painters (1697), etc. There are also private houses that are restored. Did you know that in 2010, the Grokt Markt was rated as the best (number 1) square in Europe to visit! Originally built as a bread house, the King’s house at the Grand Place had undergone several demolitions and renovations to later become a seat of administrative importance. Thereafter the bread house became the Duke’s house. When the same Duke became king, the now stone building came to be known as the King’s house. The museum of the city of Brussels is located at this building. Price: 8 euros for adults. Group and guided tours are also available. The town hall at the Grand Place is the only medieval building that is existing in its original form at the Grokt Markt. The Town hall is also the focal point of the square. The town hall was built in different stages during the early part of 15th century and hence when you look at the architecture closely, you will find that it is asymmetrical. Asymmetry is evident with the tower not built exactly in the middle of the building and neither sides of the tower are symmetrical. This town hall reminds us of the the new city hall in Marienplatz in Munich (minus the singing clock). Currently, the Town Hall houses a significant portion of municipal offices. It is embellished by a bell tower which is the most iconic structure of the square. 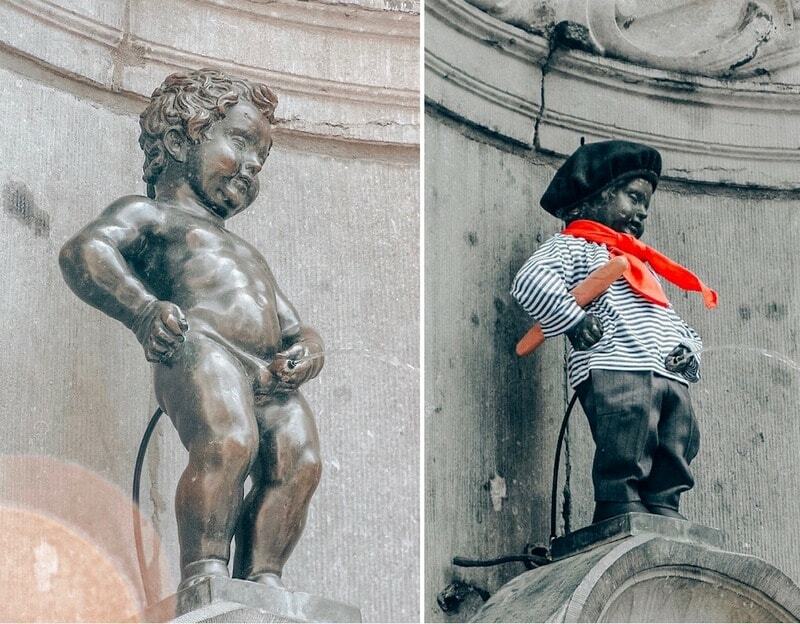 The Manneken Pis is a weird tourist attraction in Brussels. It is weird because it is a statue of a “little boy who is peeing” into a fountain. This statue is a replica of a similar bronze sculpture from the 1600’s. There is another bronze statue, called the Jeanneke Pis, which is Mannekin Pis’s female counterpart. There are many legends and stories associated with the Manneken Pis and has made him quite popular. The Manneken Pis is located southwest of the town hall, it is located two blocks behind the town hall. The Manneken Pis is a local hero and the people of Brussels love him so much that they dress him up in different attires all year around. 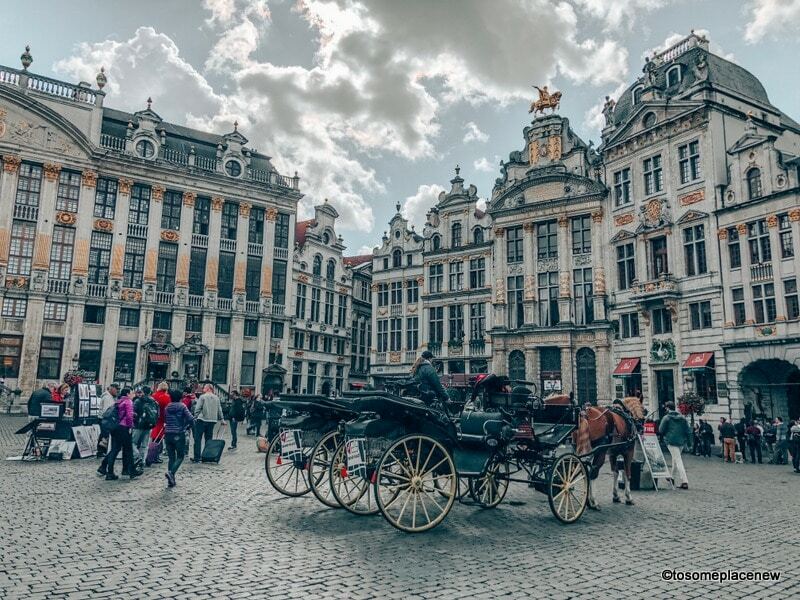 At the Grand Place, there are horse-drawn carriage tours available to explore the city centre. These tours cost €44 and takes about 30 minutes. It is a great way to celebrate this historic square. If horse-carriage is not your thing, take a stroll around the buildings and do some souvenir shopping or eat your heart out. This area in and around the Grokt Markt is lined with souvenir stores and restaurants. We enjoyed live music as we walked through the narrow lanes. If you are hungry, now is the perfect time to rest your feet and enjoy Belgium frites with sauces. Frites in Brussels are served in a similar manner like in the Netherlands. So they are in a cone and you get to choose from a multitude of sauces. Keep in mind, sauce charges are an extra .50 cents or so. And I can’t eat anything without sauce and so tried a bunch of different ones (in different food stalls). Curry sauce was my ABSOLUTE favorite. As you walk away from the Grand Place and towards the nearest train station (De brouckere), you will be welcomed to a shopping complex, called the Anspach Shopping Centre. If you are looking to purchase clothes, bags or any accessories – this is the place. The stores here carried trendy and fast fashion labels (European labels for less.) They are like your Forever XXI of North America, if you know what I mean – super trendy. Did you know that Brussels is home to the comic stars? I mean there is an entire lane, filled with murals of Tin tin, Spirou and the Smurfs. They are also everywhere in the city. 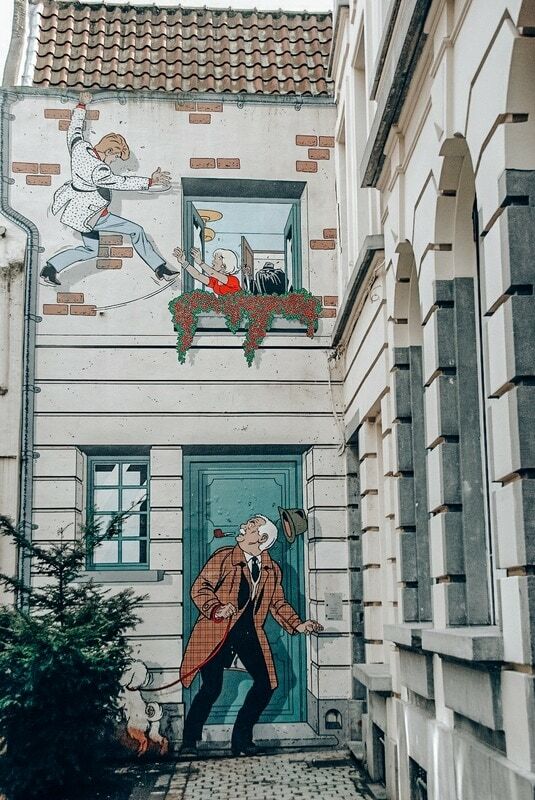 The Belgian Comic Strip walk is a lane full of murals in Brussels city centre. There are about 55 murals. It is a definitely a treat to the eye and makes for great photography location. Brussels loves Tin tin and it is evident in the form of blonde hair graffiti which can be found everywhere in the city. There is a comic museum dedicated to the colorful world of comics called the Comic Strip Center. There are exhibitions, art displays and information and reading rooms at the Comic Center. Saint-Hubert Royal Galleries is ABSOLUTELY stunning. It was really hard to believe that this is a shopping complex. This this gallery dates back to the 1850’s. The interiors of the hall are gorgeous and looks like a grand palace. There are clothing stores, confectioners and cafes located inside. If you would like to capture some beautiful images of the mall interiors, arrive early (before 08:00 am) or after 09:30 pm, when the stores are closing. The Royal Gallery of Saint Hubert is on the UNESCO “Tentative List”, due to its cultural importance. The Rue des Bouchers area is alive and kicking into the later hours of the night, so a perfect place to sit back and enjoy Belgium beer and a meal after a long day of sightseeing. We referred to the Atomium Park earlier. The Atomium is a landmark building in Brussels and is very unique in design. It was created for 1958 Brussels World’s Fair (Expo 58) and is now a fully operating museum. 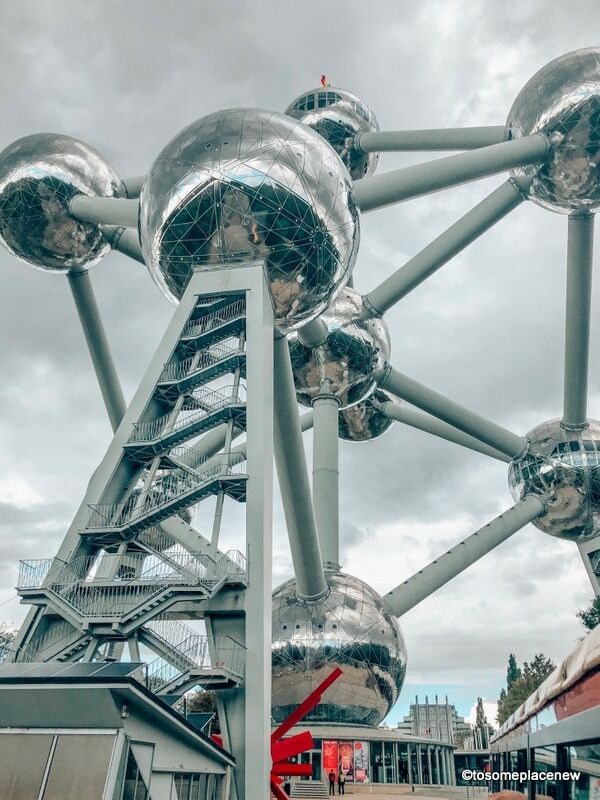 When you see the image of the Atomium below, you will know the name Atomium is very apt – the structure resembles the molecular “atom”. Oh Brussels, how cool! The Mini-Europe is a miniature park located at the foot of the Atomium. The mini-Europe has reproductions of monuments in the European Union on display. It represents around 80 cities. The Castle of Laeken is the official residence of the King of the Belgians. This is where the royal family resides. You cannot visit the palace as it is off limits to the public. The palace lies in the Brussels region, about 5 km north of the city centre in the municipality of Laeken. 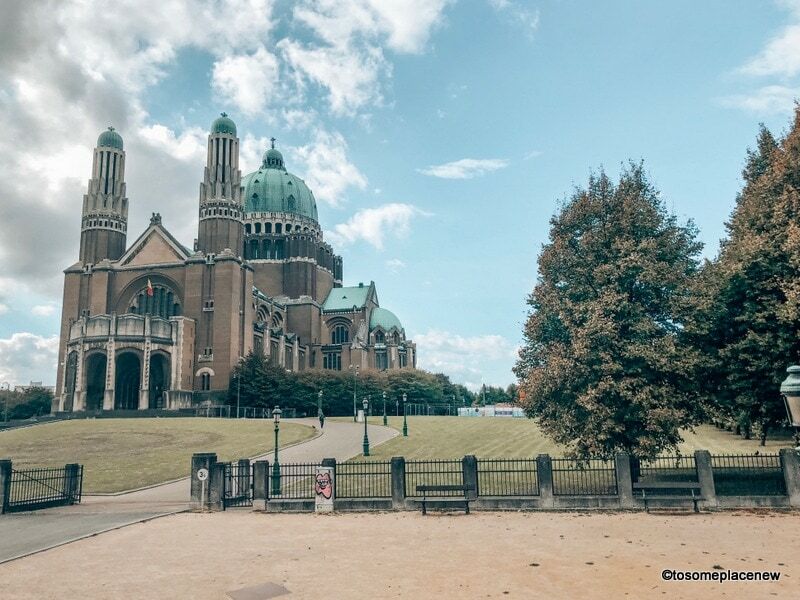 The National Basilica of the Sacred Heart is a Roman Catholic Minor Basilica located in Koekelberg neighborhood in Brussels, Belgium. The church was dedicated to the Sacred Heart. The church has two towers and two museums. Marolles is a flea market located at Place du Jeu de Balle, Brussels. This place has quite a bit of history actually. In good old days it was called the “Old Market” (or the “Vieux Marché” in French) and was intended to serve as a playing field for “balle pelote” players in 1853). Today it is a popular flea market in Brussels. About 450 merchants work here every day of the year, selling some vintage-y items to collect and take home from your visit. There is a glass elevator or lift that goes from Place Poelaert down into the Marolles. You can see Brussel city views from this lift. Brussels has the largest number of European Union offices, including the European Parliament building in the Leopold Quarter. Parc Léopold or Leopoldspark is a public park located within the Leopold Quarter of Brussels, adjacent to the Paul-Henri Spaak building, the seat of the European Parliament. The Halle Gate is a medieval fortified city gate of the second walls of Brussels. Today it is a museum, and belongs to the Royal Museums for Art and History in Belgium. You do get a good taste of Brussels by exploring the above sightseeing spots. If you are planning to extend your stay, you can take day trips from Brussels to explore the more of Belgium like we did. Using this visa, passport holders from non visa exempt countries can visit neighboring countries like France, Germany, Luxembourg and Netherlands. Visa exempt countries – US and Canadian passport holders will require to apply for an online travel authorization from January 2021. It can be applied online and the authorization slip or email will arrive in 24-48 hours. For right now, passport holders can travel without it, and can stay in a Schengen zone for 90 days for tourist purposes. Travel Insurance is essential for Schengen Visa applications. We recommend that you always insure your trip should plans change or in the event of medical emergencies. Brussels Airport is located on the north east part of the city. There are multiple ways to reach the city centre from the airport including cabs, trains, bus and renting a car yourself. Typically, it would take 20-50 minutes to arrive depending on your mode of transport. Local buses are convenient to explore within the city. Bus fares are 4.50 Euros. You can also purchase a day or weekly pass depending on your length of stay. Brussels has a strong rail network, within and outside of Belgium. Internal trains are called SNCB and they connect from Brussels to Bruges, Leaven, Namur, Ghent and other towns and cities in Belgium. Trains are also available from Brussels to neighboring areas. This includes both high speed and regular trains. Trains are safe and clean. We took train journeys from Brussels in second class compartment and they were comfortable and clean. There are 3 official languages in Belgium – French, Dutch and German. Due to its close proximity to the French, German and Dutch border, you will see landmarks in dual or triple languages. EasyHotel Brussels City Centre – Located in a prime area, EasyHotel Brussels is a budget accommodation option. We scored a good deal on this hotel and would highly recommend it. The rooms were small, but are clean. Friendly staff and super helpful. Great location – quick access to train station, grocery, sightseeing. Euros are used in Belgium. You will also find credit cards and debit machines are common. At the train stations, we found that most places had credit card slots and some accepted bills/coins. Generally speaking, Western Europe is expensive in terms of food and accommodation. But we found Brussels to be a tad cheaper then Paris or Amsterdam. Most of our food was bought from the grocery store (salads, bread and other baked items, drink, ice cream, sandwiches). We spent 10 euros for a meal for the 2 of us, by grocery shopping. And the food was good actually, including dessert. We did book day tours or trains to nearby cities/countries and that cost was about $60- 120. We were all booked ahead of time and online. Let me share what we bought and how MUCH I love it! So Salil bought me a nice red sweatshirt/hoodie with Belgium written on it. I love that hoodie so much. One of my favorites. We also bought some fridge magnets and Belgium Chocolates back home. There are tons of delicious things to eat in Brussels. Belgium Waffles are amazing (unlike the waffles we have in North America), frites and sauces are delicious. If you have a sweet tooth, you will be sugar heaven! Desserts, Belgian Chocolates and truffles, macarons, ice cream are yummilicous. I think I put on some extra pounds on my 7 day stay here. Baked goods are equally delicious and you can try choco-twist, cherry cream cheese croissants and other items from local bakeries or joints. Train stations have a line of bakeries and coffee shops so you will never go hungry. Belgian Waffles – There are 2 types of waffles that you can try in Brussels. The original Brussels Waffles ‘gaufre de Bruxelles’ (rectangular and less sweet, I like this kind) and Liege Waffles (round and sweet). Mussels and Fries – Moules-frites are a popular dish in Brussels. It is mussels with fries, like the name suggests and it is made in white wine or other sauces. Flemish Stew – This is a POPULAR comfort food – stew made with meat and Belgian Beer smothered to bring in rich tastes. There are tons of 1-2 hour Belgian chocolate making workshops. If you love to cook and would want to experience a cooking class or workshop, try this tour. Off seasons are during spring and fall. The weather is NOT too warm nor cold. Spring time is from March to May and fall season is in September and October. You can score great hotel deals and tours around this time. Also less crowds in tourist areas. Winter months are from November to early February, where the temperature drops and gets cold. November and January may not that bad prices wise, but December is the prime holiday month. Christmas season – Christmas time is a GREAT time to be here and exploring the holiday markets and joy. Usually flight tickets could be expensive around this time. We visited Brussels in September – fall and off season. You can expect it to rain every now and then during this time (and probably through out the year). But it didn’t hinder our everyday travel plans. 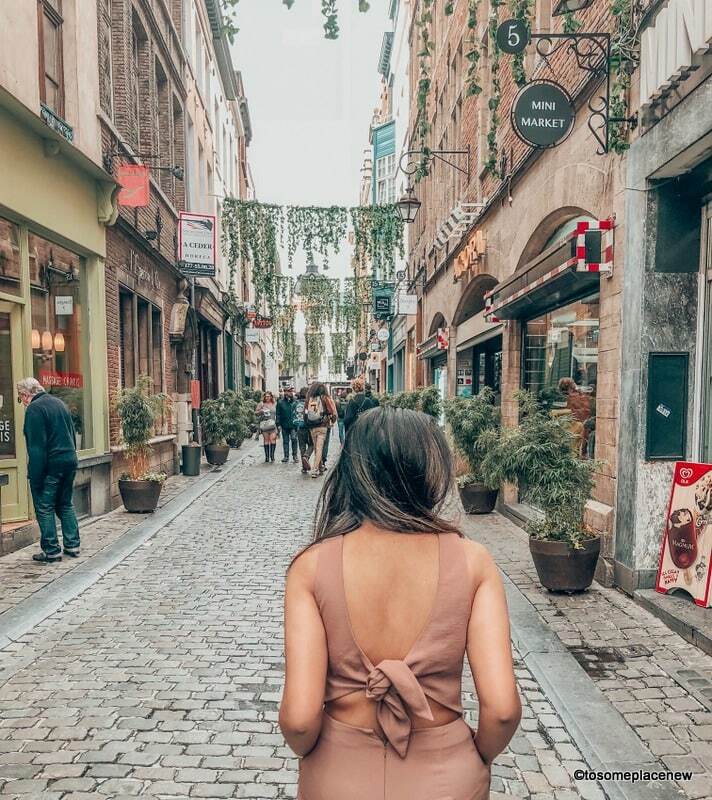 Packing Tips for Brussels – What to wear in Brussels? 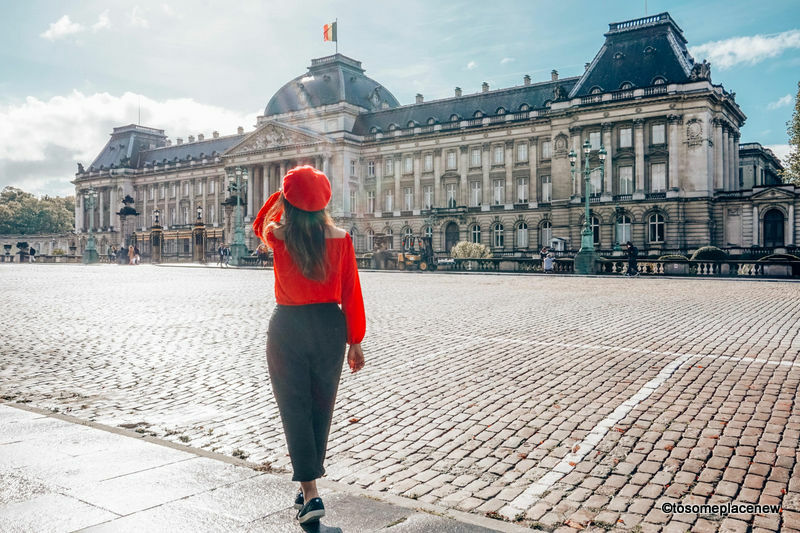 In terms of everyday clothing, Brussels is not like Paris, it is actually very chill and relaxed place – so you can wear casuals or even shorts while exploring Belgium. The people of Belgium are open to tourists and we never had any experience with unfriendly or unwelcomed stares during our stay here. We hope you found this post helpful in planning your trip and itinerary to Brussels. Disclosure: This post contains affiliate links. If you click one of them, we may receive a small commission (for which we are very grateful for) at no extra cost to you. « 10 Essential Travel Items that every traveler needs! WOW you can sure pack a LOT into one day! !